Lodgepole Campground is located in Sequoia-Kings Canyon National Park and has 214 campsites for tents, trailers and RVs. It is open year round, but reservations are taken from May 23 – September 25 are are strongly recommended. Camping outside of these reservation dates are first-come, first-serve. Lodgepole Campground is only 1/2 mile east of Lodgepole Visitor Center where you can find a camp store, deli, gift center, laundromat, pay phone and coin operated showers. Lodgepole Campground also has flush toilet, drinking water and an RV dump station. Each campsite has a food storage locker, table, fire ring and grate. There are no hookups at this campground. The Marble Fork of the Kaweah River runs through the campground and several tent camping sites are located along the river. 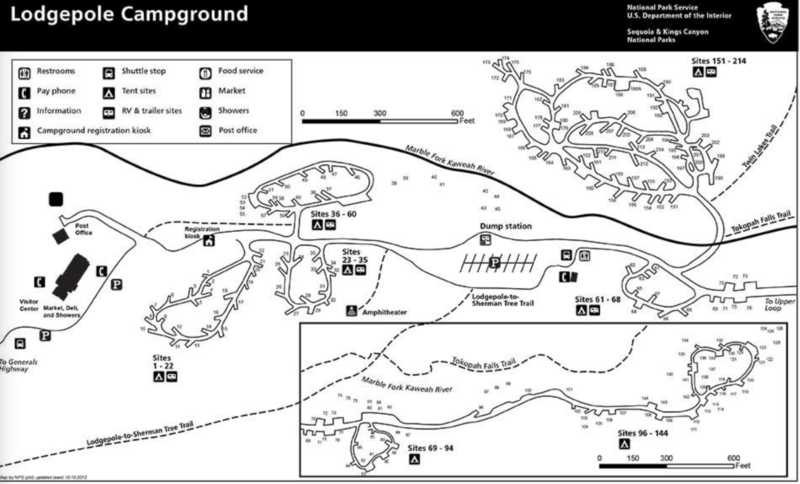 There are also several trails that originate in the campground including Twin Lakes Trail and Tokopah Falls Trail. Tokopah Falls Trail is 1.7 miles there (3.4 round trip) and makes for a brisk morning hike. Other outdoor activities include biking, hiking, picnicking, fishing, stargazing, photography and wildlife viewing. 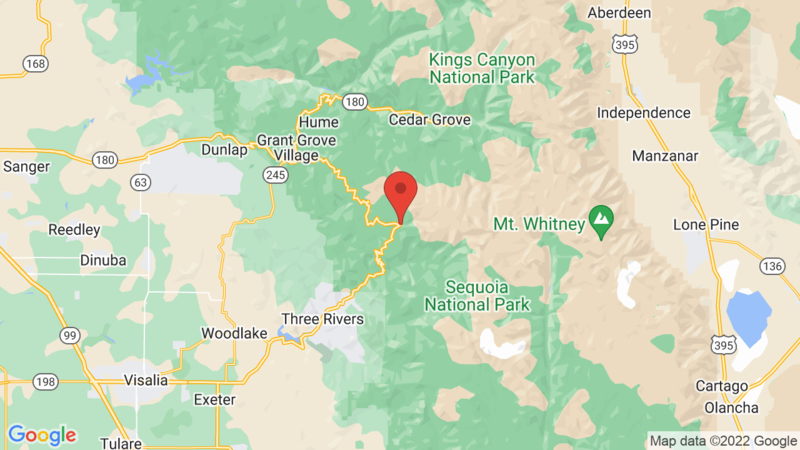 Other campground options in Sequoia-Kings Canyon National Park are Dorst Creek Campground, Crystal Springs, Azalea, Sunset, Potwisha and Buckeye Flat. Visted Lodgepole Campground lately? We'd love to hear about your adventure. Did you find us useful? Did we forget something? Anything our community should know before heading out to Lodgepole? I love camping at Lodgepole Campground. I try to get up there at least once every year. You have everything you could possibly need there. Your not far from Morro Rock, Hume lake, General Grant & therer a so many hiking trails you can take. I would recommend that you should at least once in your lifetime to go there. You won’t be sorry.